Difference between revisions of "DustSensor"
To get an idea of the levels of fine dust around my house, I ordered a dust sensor module to play around with. In particular, I ordered this one, the Plantower PMS 7003, AliExpress link. It's being advertised as an advanced generation of dust sensor (7th generation), while still reasonably priced (E15,-). It uses a laser to perform the measurement and it contains a small fan to move the air around. In parallel with the fine dust level measurement, my device also measures basic meteo data using a BME280 module: temperature, relative humidity and air pressure. I recommend to also get the cable converter board. The pitch of the connector on the sensor module is slightly non-standard: 2 x 5 pins with a spacing of 0.05 inch (instead of the common 0.1 inch spacing). make it possible to support more than 1 sensor, e.g. also sensors from friends. Like making a distinction between individual sensors using the MQTT topic where the data is published. You can clearly see a peak just after midnight. The module takes 5V to run and communicates using 3.3V levels. I connect it using a NodeMCU. The module gives an estimate of the total mass of the particles (microgram/m3) in 3 categories: PM1.0, PM2.5 and PM10, both for "standard particle" (CF-1) and "standard atmosphere". It also makes an estimate of the raw number of particles per size category, total 6 categories: 0.3-0.5-1.0-2.5-5.0-10 micrometer. I don't know how it actually works on the inside and is able to make a distinction between particles of different size. Special thanks to Crashjuh for helping with the cable, putting dupont connectors on them, making it a lot easier to connect the module to an ESP8266. a Java based bridge application that takes the MQTT data produced by the arduino and forwards it into the RIVM influx database. Reading measurements from the pms7003 works, sending commands to the module does not. I don't know yet whether this is a hardware or software problem. Typing 'make' builds and runs unit tests that verify parsing of measurement data and construction of command data. The sub-directory 'pms7003_esp' contains the .ino file to be opened in the Arduino IDE. The protocol for measurement data from the module is that data is sent in frames of 32 bytes at 9600 bps. Each frame starts with specific begin marker bytes, then a length byte, then the actual data, and finally a checksum. I use a simple finite state machine to parse the stream and get synchronized to the frames. Data is encoded in big-endian format. This protocol allows commands to be sent to the module, also in frames. Each command frame consists of 7 bytes. It starts with two marker bytes, then a command byte, two data bytes and finally two checksum bytes. 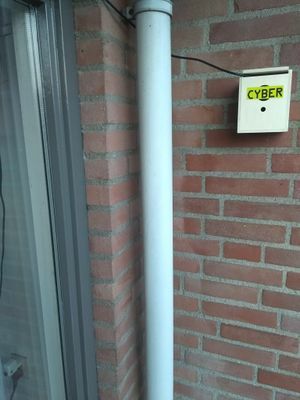 list of sensors from "samen meten aan luchtkwaliteit". 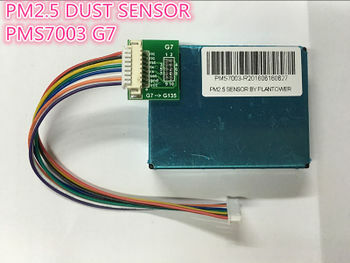 another overview of dust sensors. downloaded and installed the Telegraf .deb from here. Add a data source, pointing to the influx DB. Provide credentials and verify by pressing the 'test connection' button. vooral bescherming te bieden tegen de langetermijneffecten van fijn stof. worden voldaan. Behoudens ‘derogatie’ zijn geen uitzonderingen mogelijk (->Derogatie).